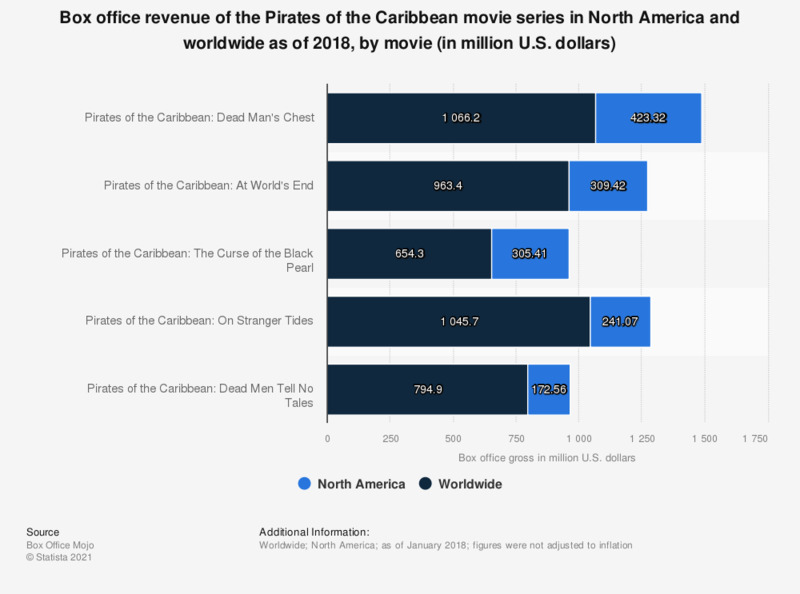 The statistic presents the box office revenue of the Pirates of the Caribbean movie series in North America and worldwide. As of January, "Pirates of the Caribbean: On Stranger Tides", the fourth installment in the series, reached a gross of 241.07 million U.S. dollars in 4,164 cinemas across North America. Johnny Depp, the actor who plays Captain Jack Sparrow, ranked fifth on the list of the best-paid actors worldwide in 2016, with an annual income of 48 million U.S. dollars.